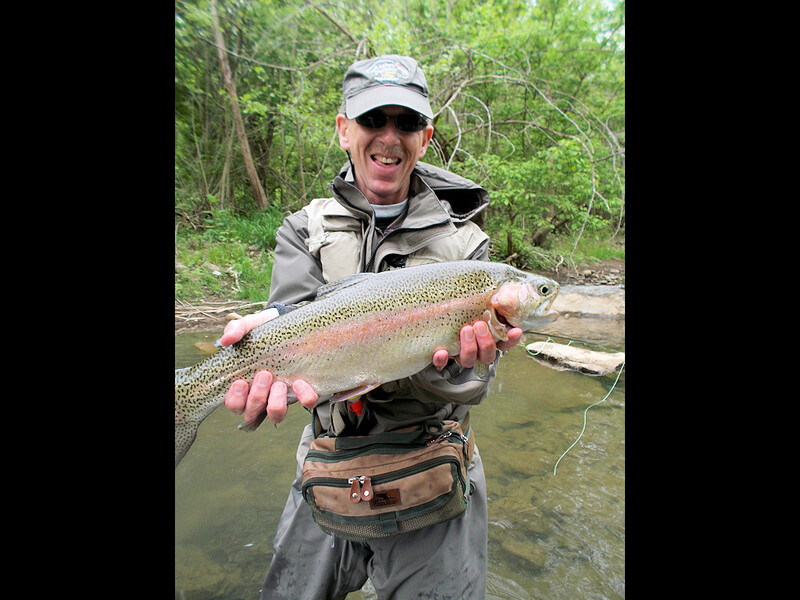 Everyday is a Great Day For Fly Fishing! 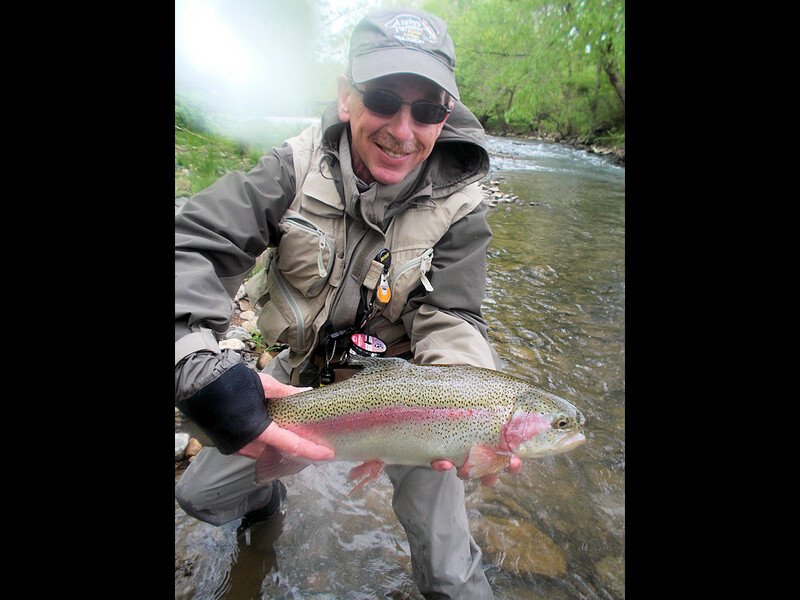 For the Novice or Pro join John Roberts for a memorable fly fishing experience. Sometime they just jump in your lap. John Knows Where the Big Ones Are! Fishing at it's best! Call John Today! 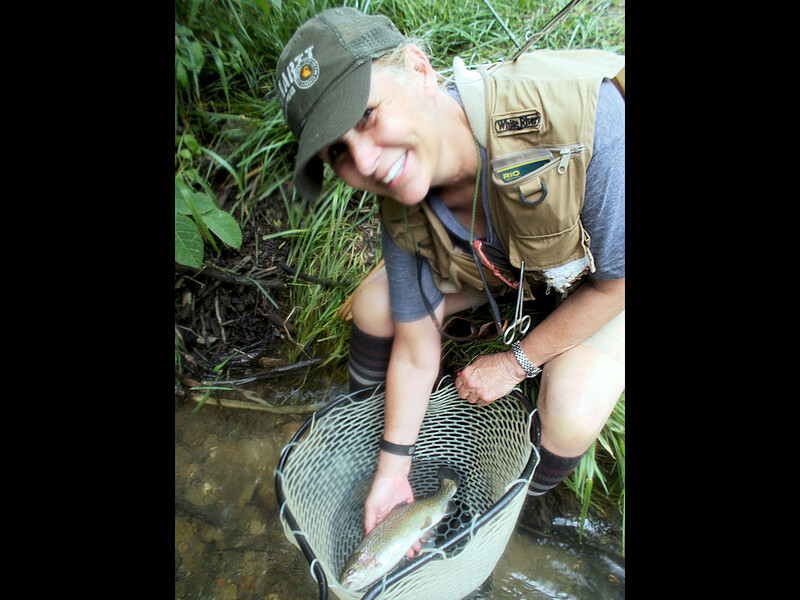 Fly Fishing Always Brings Out a Smile!! 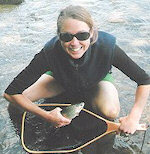 Get Your Teeth Into Fly Fishing! When evening falls they even get bigger! 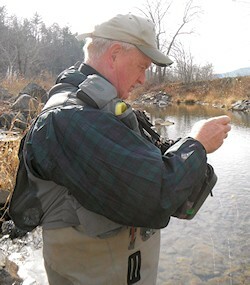 Get a great nights sleep before and after your fly fishing adventure while staying in Lexington, VA. John Roberts and his wife Ellen have operated the B&B for 30+ years. Enjoy a wonderful breakfast to start your day. 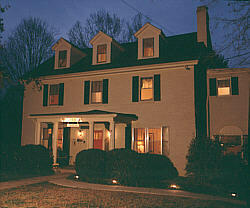 Within walking distance of downtown Lexington. 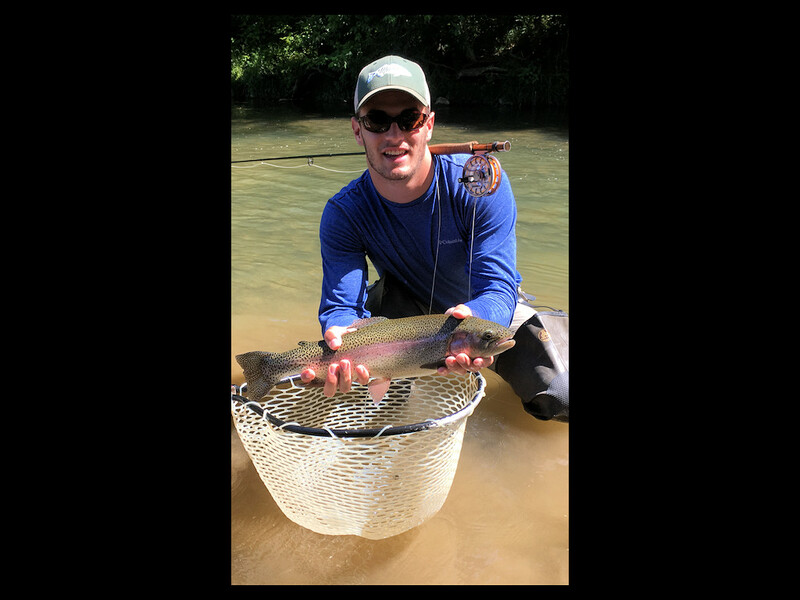 With over 50 years of fly fishing experience in the streams of Rockbridge County, John Roberts, can provide the novice to the pro an incredible experience. 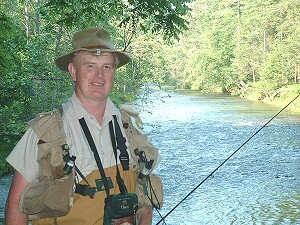 A wonderful teacher, John can provide the fly fishing novice all the tools to catch the big one on thier first experience. 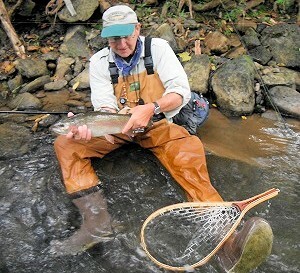 For the pro, John can take them to some of the best streams that Virginia has to offer. 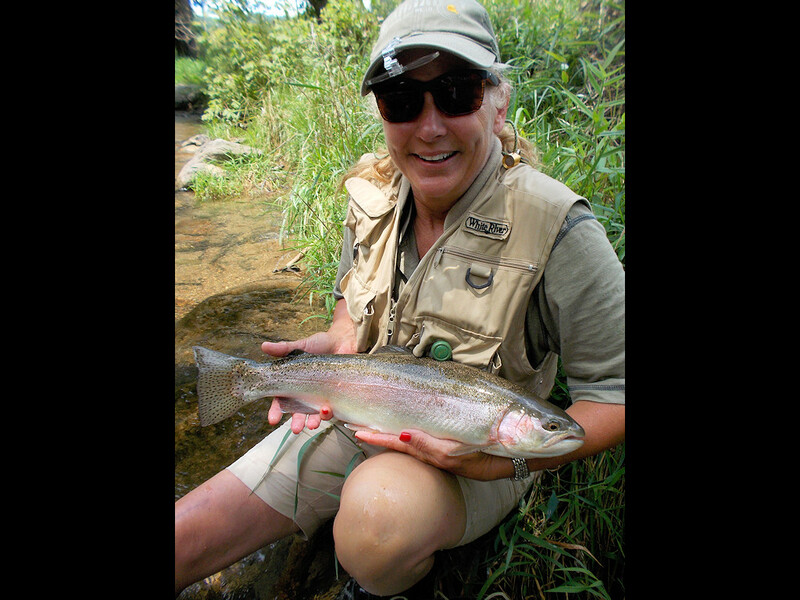 Make Your Fly Fishing Adventure A Reality. Contact John Today! A Great Gift For Any Age. Contact John Roberts at (540) 463-3235, Today!
" 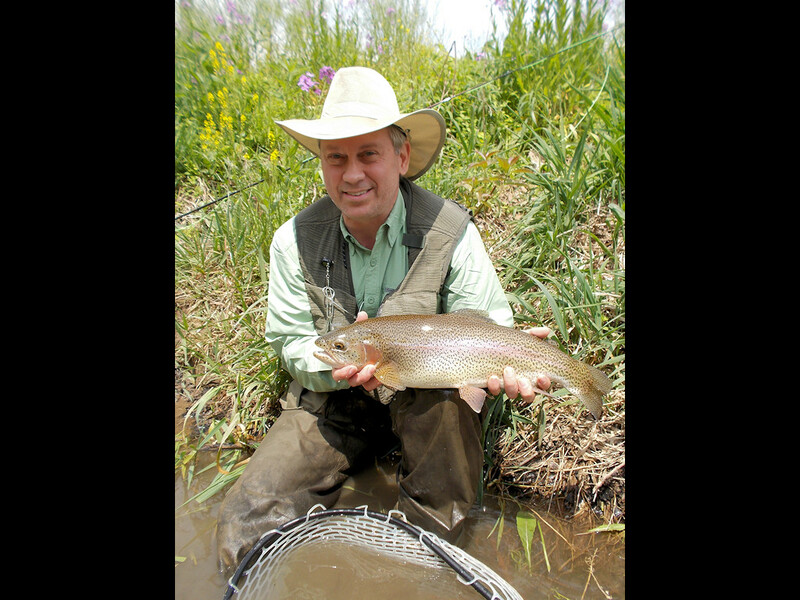 Mark Sharer 3 people Sept 17 Mon "
" Adding a split shot or 2 to your nymphing presentation can find less active trout holder lower down in the water column. " APRIL 12 , 2019- EXCELLENT CONDITIONS -- Openings now and the week coming up. Excellent water levels in our local waters today due to good rain this week. Great time to fish now. 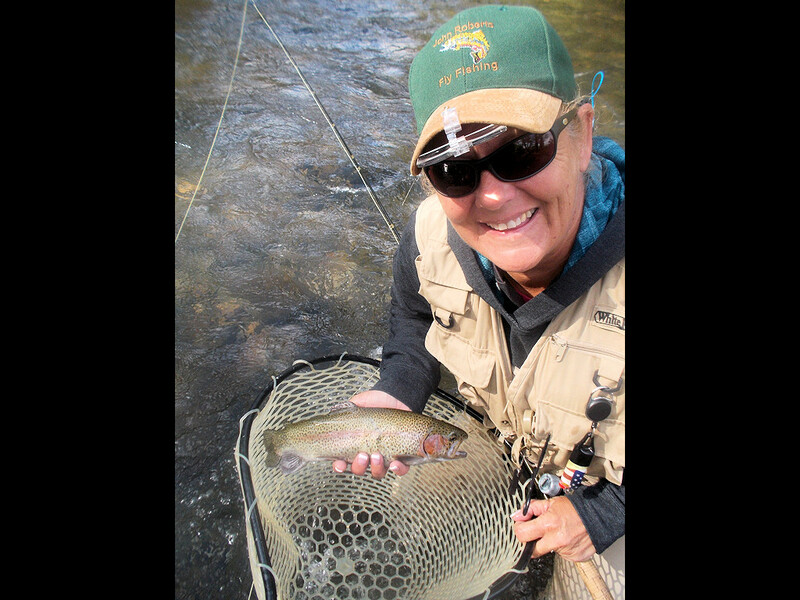 Levels have improved on the higher altitude Jackson River and Big Back Creek from the Monday rains.Water temps are ramping up with increased aquatic insect presence and trout are becoming very active now. 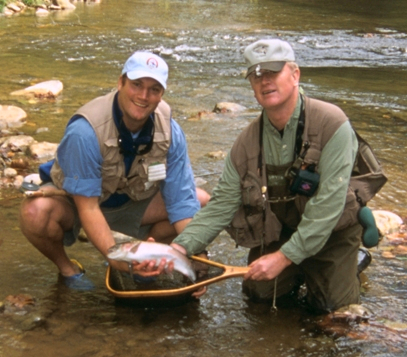 Openings for our Introduction to Flyfishing Trips and stream trips for the more experienced. 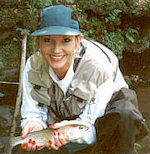 The public Special Reg Reg waters have good numbers of trout from several stockings. Please contact me in person if you would like to design a trip for your needs and experience level. 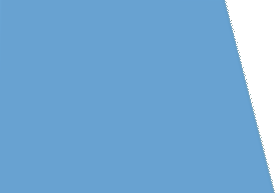 1800-882-1145. John. 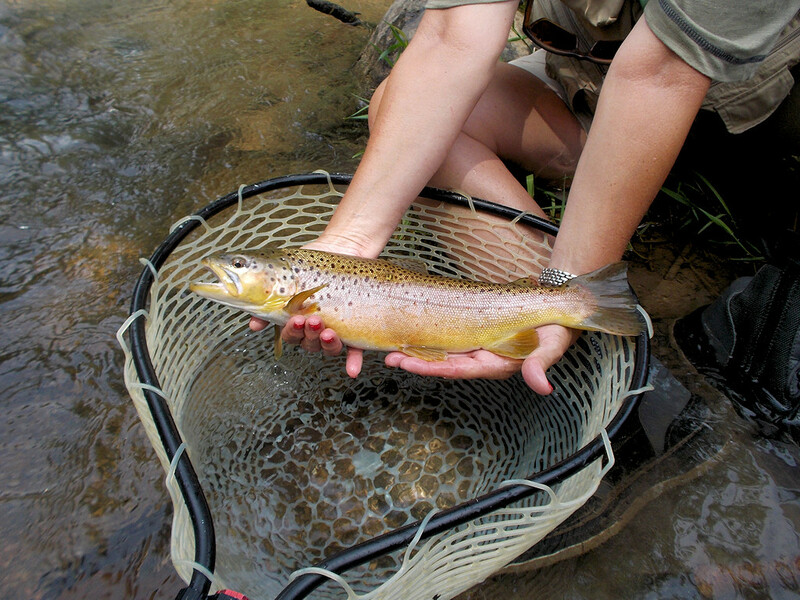 SPECIAL REG STOCKINGS- Buffalo Creek Special Reg areas received 1000 10'' Browns in late February. 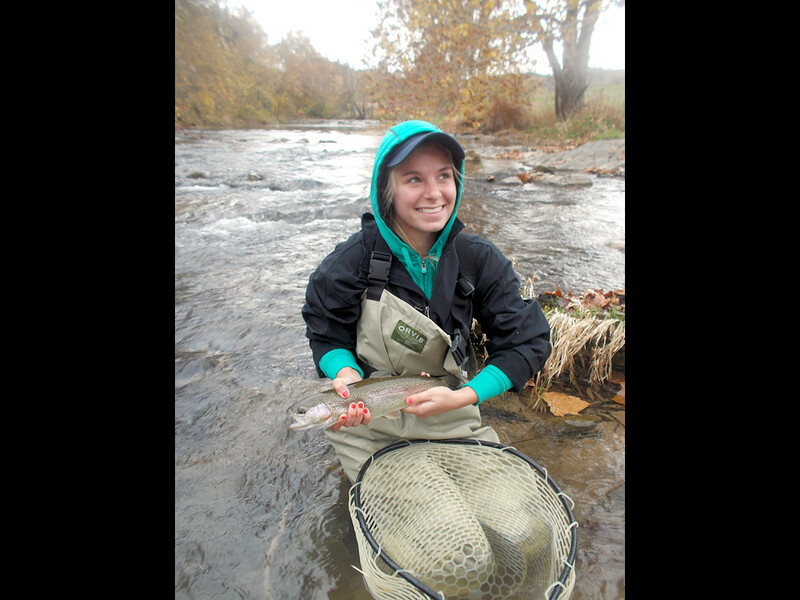 The Hidden Valley Special Reg section was stocked by VDGIF swift water rafts in early March,. 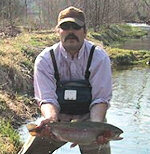 All of the other Special Reg areas have good number of trout now including the Pedlar Delayed Harvest last week. 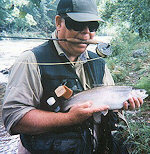 4/10- Jackson River- Special Reg area. Call or e-mail us- 800-882-1145. 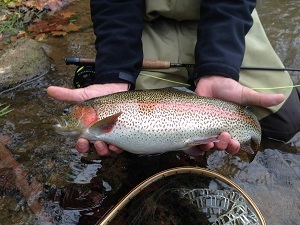 2019 APRIL FLYFISHING OVERVIEW -- April is one of Virgini's best trout fishing months with trout becoming very active. 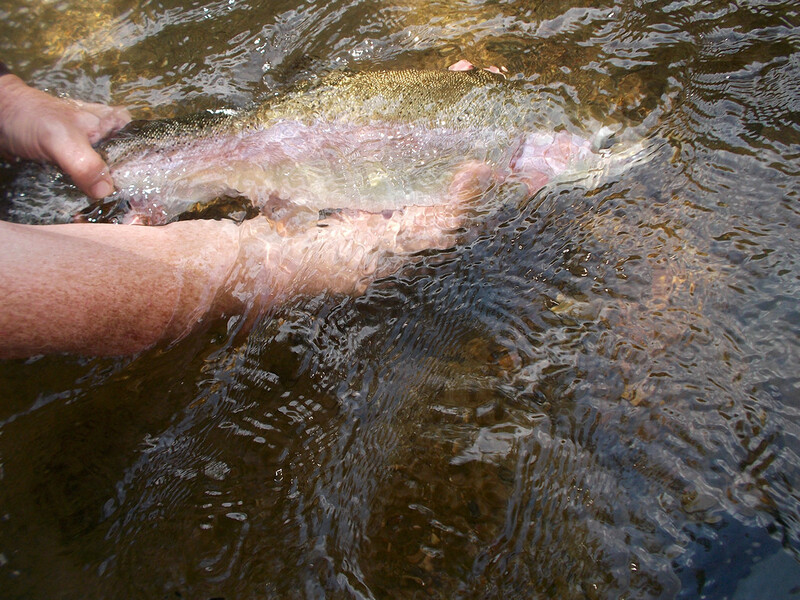 Caddis and Mayfly hatches start really cranking up.Water temps will ramp up as the month progresses and this is where the excitement comes in . 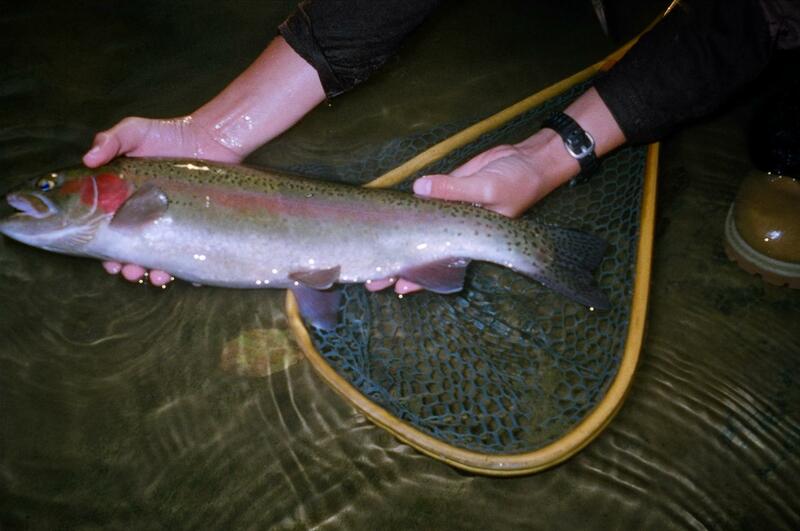 As these go up in the 48- 54 degree range the presence of aquatic insects plays huge for any plans to catch trout. 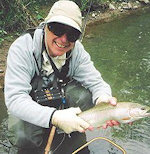 Dry fly fishing is huge this month with trout really eatin' on top again. 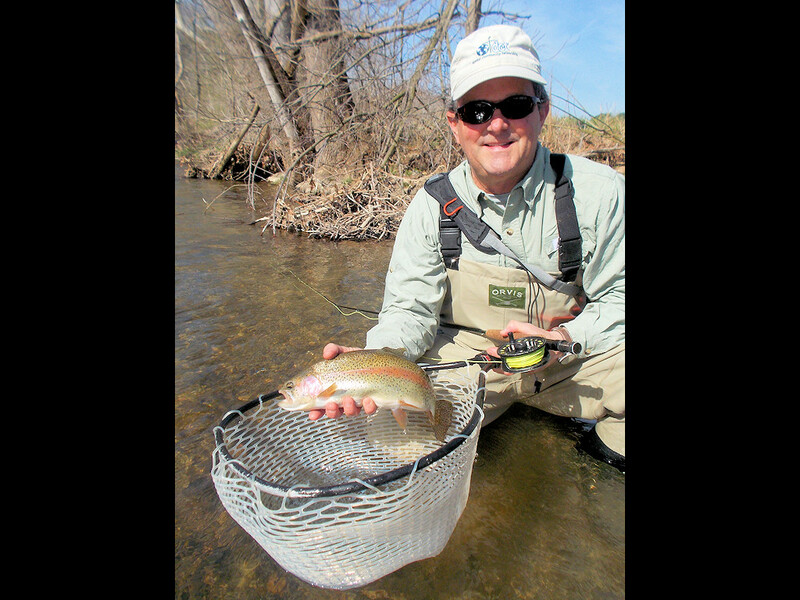 Most of the Special Reg and Delayed harvest streams have better numbers of trout this spring as the state of Va has stocked these public waters and there has been a better carry and distribution of the fish due to all the rain and high flows Jan-Feb.. Spring creeks are excellent. . We have openings for our Introductory Trips as well as our Stream trips the next months. 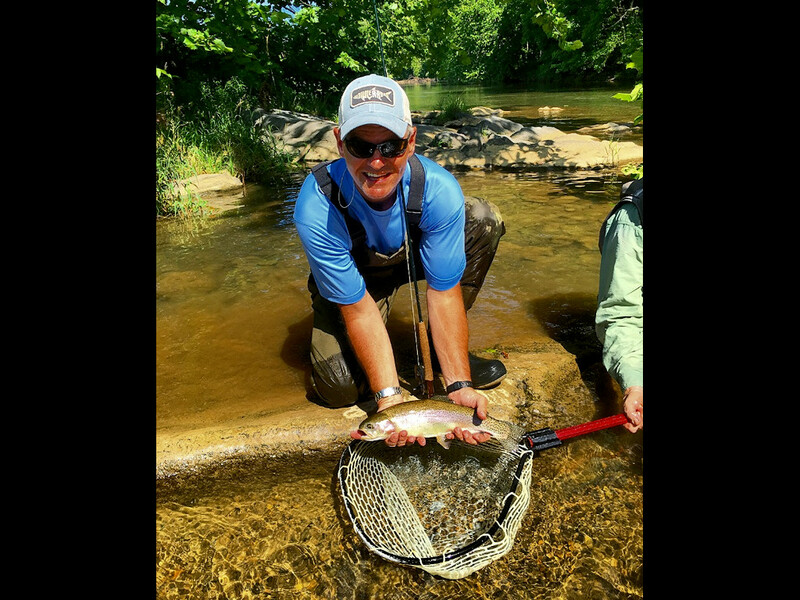 A Day On A Virginia Trout Stream is Hard to Beat- Our Intro Trips Provide an Excellent First Step In Learning to Flyfish- Year Round!